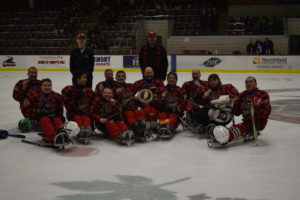 The Vermont Pioneers, Kyler is front row, 3rd from left. 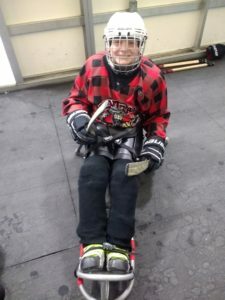 Kyler Quelch of East Calais, Vermont was the recipient of a $850 GoHawkeye equipment grant in order to help fund his own ice hockey sled. He previously has borrowed a beginner sled which resulted in a poor fit, slow speed of play and lower performance. 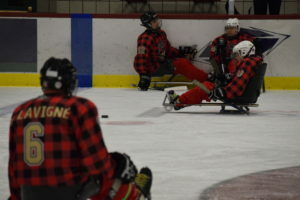 Today, Kyler’s level of competition has improved as well as his overall standing in his team, “The Vermont Pioneers”. Kyler was born with cerebral palsy, which prevents him from walking without a walker. Kyler is 14 years old and he has already had 11 surgeries. Even with his daily challenges, Kyler is a happy kid and loves sports. Being able to participate in adaptive sports is everything to Kyler. Adaptive sports have given him opportunities to make life-long friendships with people who have similar challenges and desires. These friendships teach Kyler how to find ways to fulfill areas of his life. Participating in Adaptive Sports gives Kyler an opportunity to compete, build confidence, and has proven to give him a desire to be successful in other areas of his life, such as his studies. Kyler does not have the opportunity to participate in team sports in school, so adaptive sports is Kyler’s only exposure to a true team environment. Kyler on his new sled. Kyler gets after the puck and his love of ice hockey. 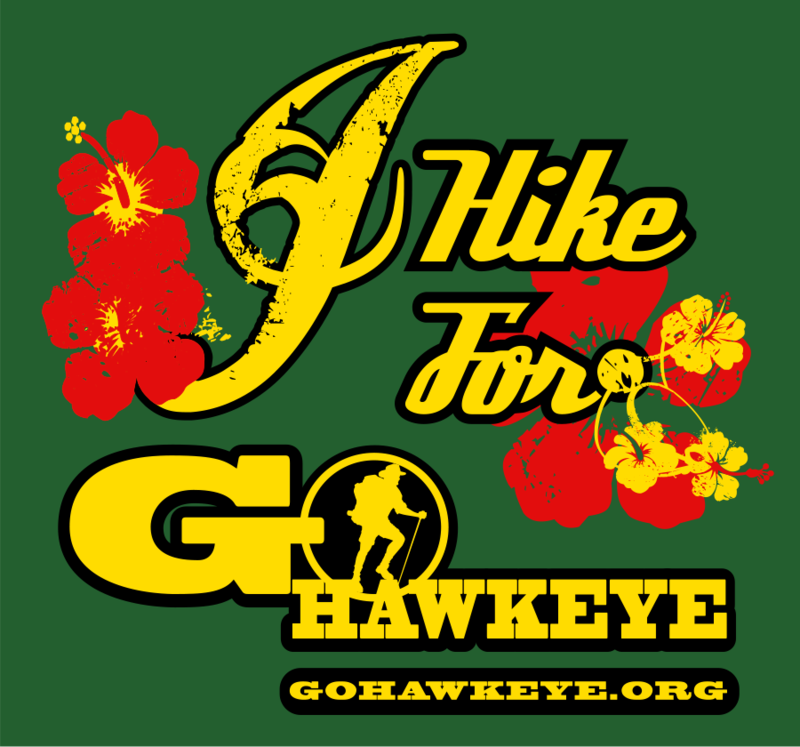 Athletes with passion and determination like Kyler continue to inspire us at GoHawkeye. 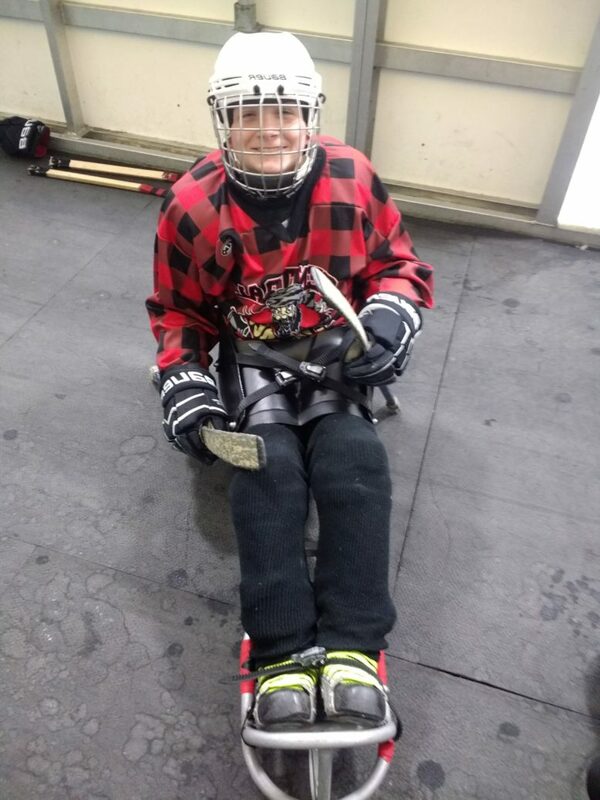 The new sled has quickly helped improve Kyler’s level of play, confidence on the ice and the ability to help his team. Go, Kyler!